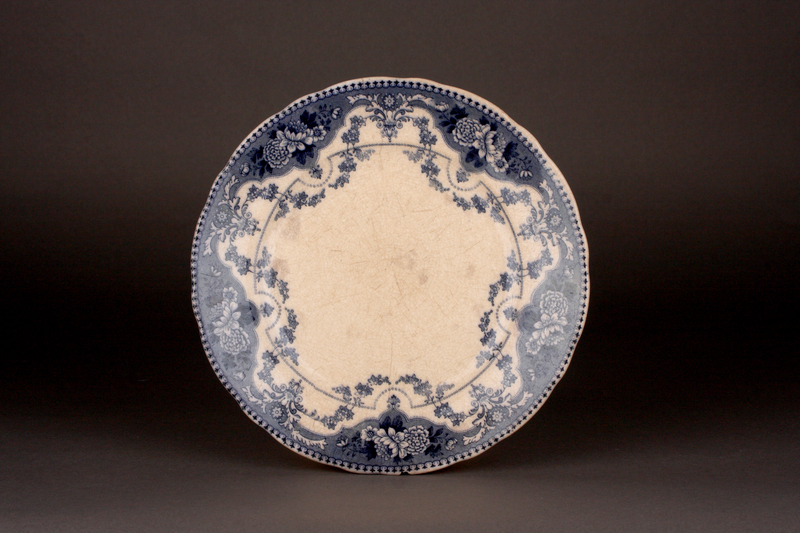 Ford & Sons (1893-1938, Newcastle St, Burslem, Staffordshire) Argyle Flow Blue Dinner Plate, found in the kitchen at The Forge. Blue floral detailing. 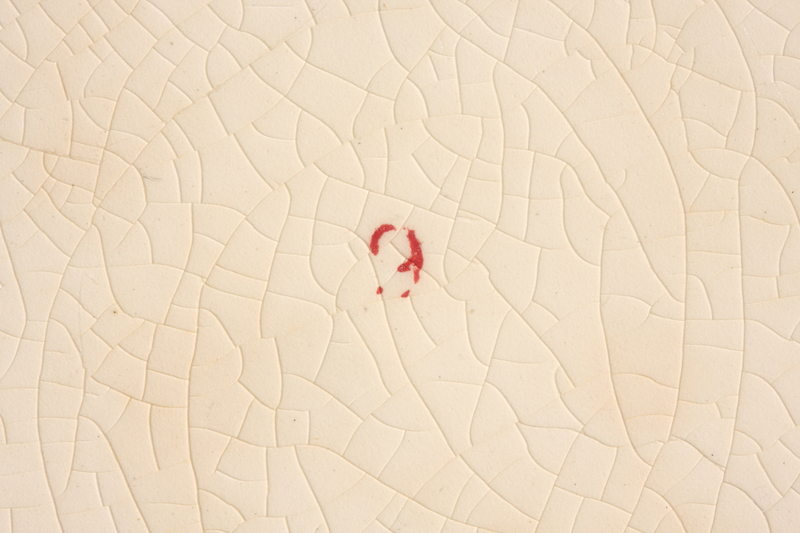 Extensive staining, crazing/crackalure and a number of larger cracks. 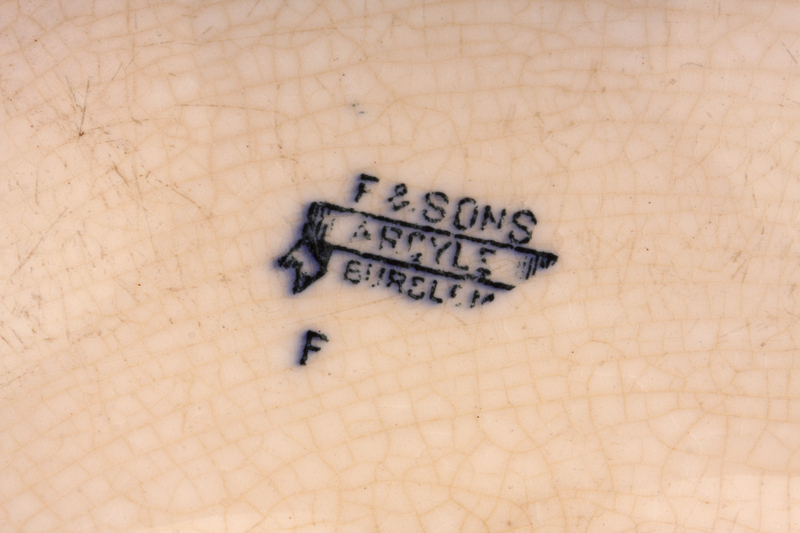 The word ‘Argyle’ is the pattern name for the underglaze, transfer printed floral pattern that the firm produced c. 1910 to 1930. There would have also have been a gold trim but this has worn away. The Buckleys had three dogs, which they treated very well by all accounts but there was also a cat that reportedly had its dinner at the table with Jimmy Buckley and ate off the other side of his plate.